Richmond Real Estate veterans Reed Wilson of the The Wilson Group and Ronald Burnham of Richmond Region Realty Team have teamed up to create a new, modern approach to the training, and accreditation of Real Estate Agents. reFocus Real Estate School offers students an online avenue for Real Estate licensing, and continuing education accreditation with a specialization on professional development. “I’ve worked in the Richmond Real Estate market since 2008 and over the years became frustrated with the run-of-the-mill big-franchise courses I had to take that really didn’t go beyond teaching to a test. Ronnie, and I wanted to create a place where our peers could share tips and experiences to make us all better agents for our clients” -Reed Wilson. 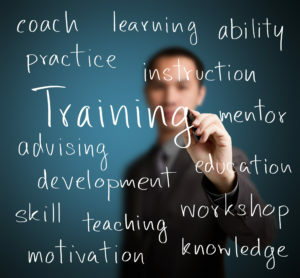 reFocus offers students accredited courses for Saleperson(s) and Brokers from pre-licensure, to continuing education. In addition, students can learn from guest professors, specialized courses like niche marketing, photography, as well as networking events. The goal is to properly prepare new Realtor® individuals that learning & training doesn’t stop just because you have your license. In fact, this was one of the reasons that reFocus was launched is to have a platform for additional training topics that individuals will need in order to have a successful real estate career. As a virtual platform, reFocus students have the flexibility to take courses, and engage with professional development events on their own time, at their own pace, from certified instructors. “With guest professors who are industry experts from Flood Insurance to Social Media, we’re creating an environment where our students can tell us what they want to learn more about,” said Wilson. “While also leaning on our years of experience to provide education on various topics that we had to learn on our feet, because on one was teaching it – and they still aren’t,” said Burnham. “Romilda was very helpful and is great at explaining the material in detail to ensure the students are understanding it. The classroom location was in close proximity to home and work. All around, I had a great experience and the environment was great.”- Alyssa H.
The school, reFocus, offers students an online avenue for Real Estate licensure and continuing education accreditation with a specialization on professional development.